New Delhi : Christian Michel, the alleged middleman in the AgustaWestland VVIP choppers deal case, has reportedly identified Ahmed Patel as the man with initials AP in a chargesheet filed by the Enforcement Directorate (ED) before a court in New Delhi on Thursday. The agency, in its supplementary chargesheet filed under the Prevention of Money Laundering Act (PMLA), said "a part of kickback was paid to defence officials, bureaucrats, media persons and important political persons of the ruling party" when the deal was being struck. As mentioned in the chargesheet, a total of 30 million euros were paid to Air Force officers, bureaucrats and politicians" in order to swing the deal. "The recipients of the kickback include several categories of persons namely Air Force officials, bureaucrats including defence ministry officials and top political leaders of the then ruling party. As per Christian Michel James, 'AP' means Ahmed Patel and 'Fam' means Family," the ED said. 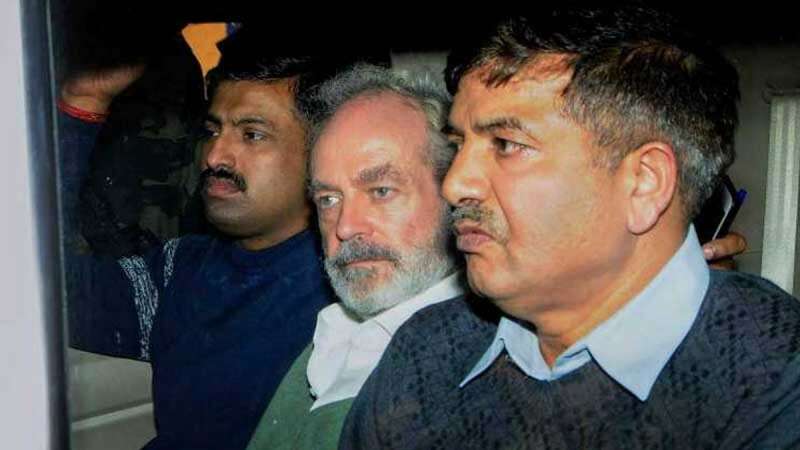 At another place in the chargesheet, Michel said, "I cannot say what Haschke was thinking. As a guess, I would think he was talking about Ahmed Patel." In the same chargesheet, Rajiv Saxena, another accused arrested in the case, has been quoted by the ED as saying that "AP" was a "reference" to Ahmed Patel.